I originally made these for our annual Halloween Party in October and were such a hit, I knew I had to make them again! Thankfully, I went a little 'apple happy' and bought a few too many for my Thanksgiving pies! 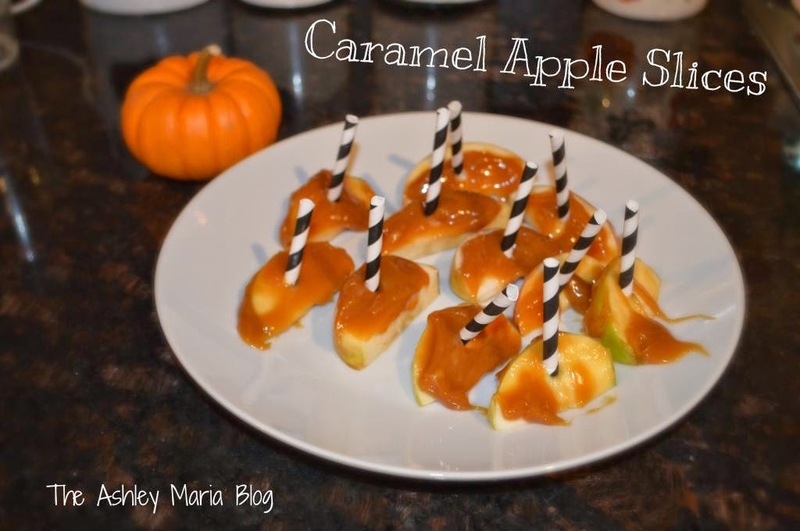 These babies are a great way to use those extra apples and make a great snack! *Ingredients depend on how many slices you are planning on making.